People are often upset and embarrassed about their results from cheap surgery. The problems that come along with it are often complex (and costly) to correct. The surgeon you decide to work with is the #1 determining factor on the results you’re going to get. There is no such thing as cookie-cutter surgery. Every surgeon has their own unique talents, specialties, and surgical techniques. 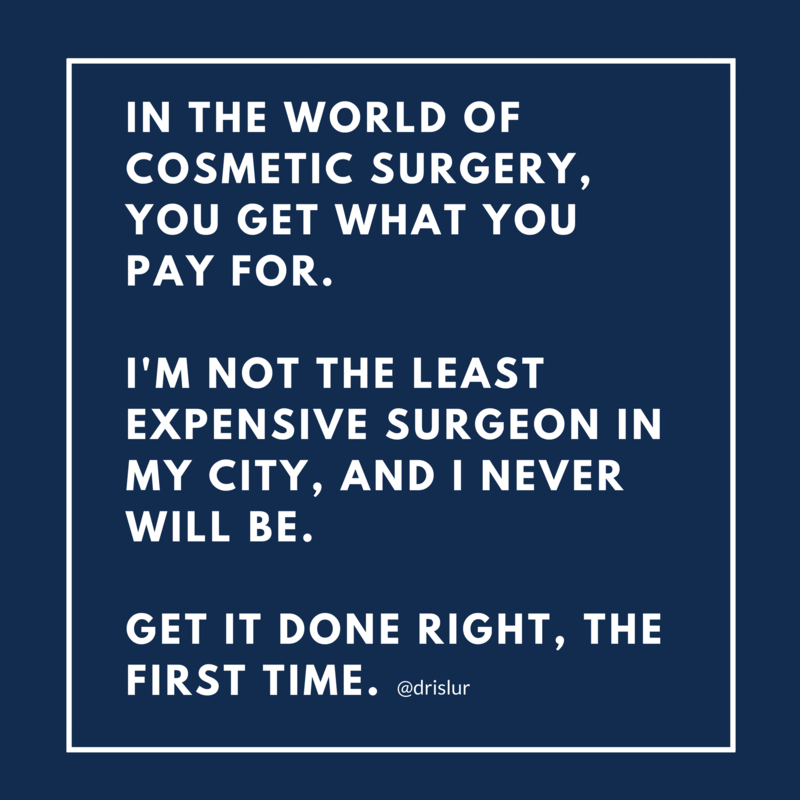 Ask anyone who has undergone revision surgery, it’s a lot cheaper to get it done right the first time!